Former musician Juliet Langley has barely had a day off since taking over management of the coffeehouse owned by her best friend, Pete Bennett. But there's always more to be done-such as prepping for the annual Holiday 5K Race organized by Pete's snobby socialite girlfriend, Cecilia Hollingsworth. This year, Java Jive has a booth right at the finish line, and since Juliet and Cecilia don't always see eye to eye, everything has to be perfect. Nothing can go wrong. Nothing . . . like Juliet stumbling over Cecilia's dead body on the morning of the race. When Pete is arrested for Cecilia's murder, Juliet sets out to clear his name. She'll do whatever it takes-even if it means standing up to the police and her ex-boyfriend. 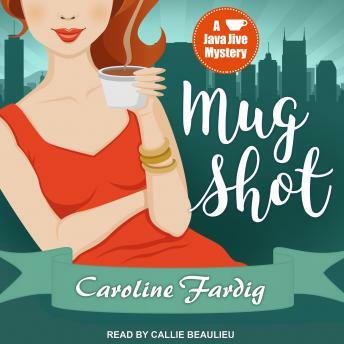 But there isn't enough espresso in the world for the greatest challenge in her path: infiltrating Nashville's high society to uncover the hidden hotbed of scandal without running afoul of the law herself. With her last dime staked on Pete's bail bond and her staff growing jittery, the last thing Juliet needs is for her trademark temper to land her behind bars. As time drips away, Juliet needs to crack this case before the killer comes back for another shot.